The WATERSWEEPER is designed to operate on standard household water pressure ONLY. It must NEVER be attached to or operated on a water source which supplies more than 160 PSI. 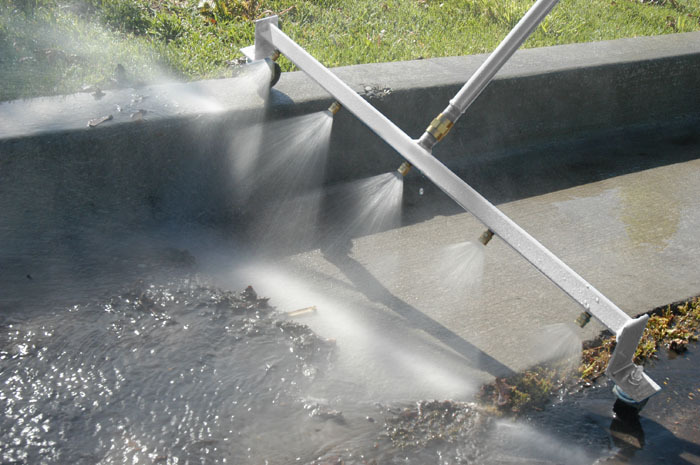 This includes ANY high pressure washers, steam cleaners, etc. Doing so could result in a catastrophic failure of The WATERSWEEPER resulting in serious injury or death. PLEASE DO NOT DO IT! WATERSWEEPERS can be shipped in quantities of up to 5 per box. Your order will be shipped via FEDEX ground. Free shipping is within the CONTINENTAL United States ONLY. Customers from Alaska & Hawaii, please contact us for a shipping quote. We do not ship outside of the United States. Return shipping to our facility is the sole responsibility of the customer.